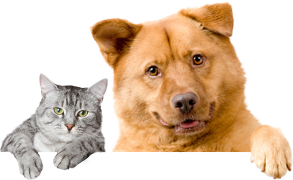 Suncoast Animal League is a non-profit, no-kill, no-time-limit animal welfare agency that cares for domestics and wildlife. Because our facility is only 1,700 sq. ft., we rely mostly on volunteer foster families to take animals into their homes until they get new forever families. As a result of our limited capacity in space, we are unable to take stray animals and do not have an open admissions policy. Rick Chaboudy is the Executive Director and co-founder of Suncoast Animal League. Rick was born in Cuyahoga Falls, Ohio and moved to Florida in 1978. He was the Executive Director of the Humane Society in Pinellas for over 20 years and then co-founded Suncoast Animal League in 2006. Rick is very experienced in all aspects of animal rescue and has been involved in most natural disaster rescues over the past 30 years.